What is Full Stake Developer And How To Become One? 1) presentation layer which is basically the front end part that revolves around the user interface. 2) The business logic layer which is basically the back end part that works with the data validation thing. Project management and coordinating the clients. Knowledge to work with system infrastructure, hardware and OS. Backend code writing in Java and creating and using the API. Integrating security layers in the application. Becoming a full stake developer is not an easy peasy job. It all starts with getting live project training at first, then taking experience for a significant time span. So, the role of a full stake developer is to frame strategy of the entire app development project, and also ensure its execution. The work is of high responsibility and needs detailed skills set which comes with experience. Well, there are several courses a developer can start off their journey with and then became a full stack developer. 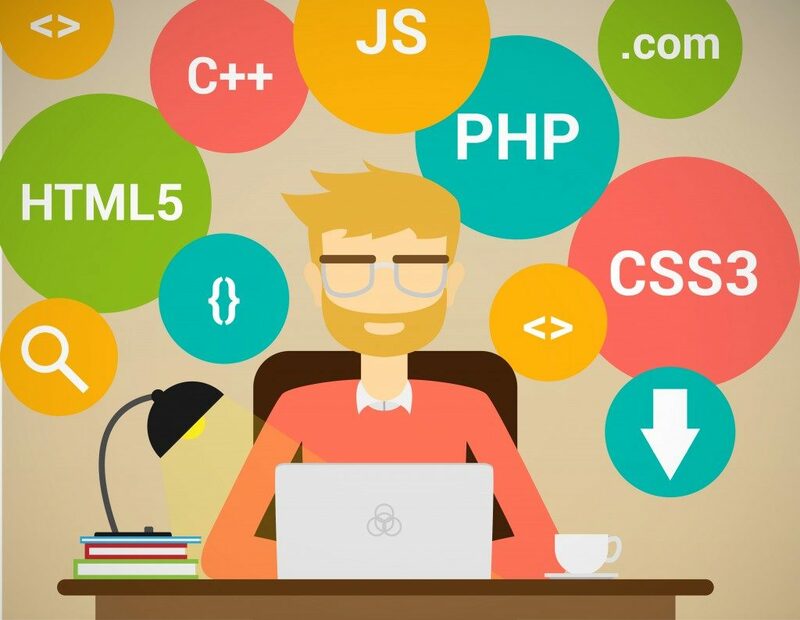 How To Become A Full Stack App Developer? Well, looking forward to the rise in mobile devices and mobile apps, if you intend to be a full stack developer, learning both iPhone and Android programming language is the must. I know learning both at the same time is not really possible. You can start up with one of them, the one which is easy. Also, pick the one which is in high demand. Because till the time you become a full stake developer, you need a good career to generate revenue from. You can start by taking iPhone training. To be a full stake developer, you need to learn basic fundamentals of variables, loops, OOP concept, Collections, multiprocessing, math operation and much more. Apart from that, you also need to learn Bootstrap and also Angular JS and then need to learn to implement those skills in the ionic framework to become an expert. Ionic is mandatory to learn if you intend to build a great front-end interface as well as implement server and client-side logic. Also, if full stake mobile app developer is your agenda, you have to learn multi-device and multi-browser coding for developing a hybrid app. So, basically, two things you can’t skip is training and then experience. You can’t skip even a single aspect of the development cycle. From the beginning of your developer’s journey, you can’t become a full stake developer, it takes experience and the right training to become one.